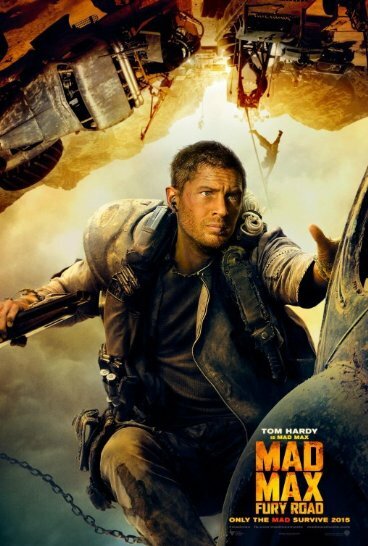 Thirty years in the making, this fourth film set in the post apocalyptic realm of tormented (ex)policeman Max Rockatansky, is actually less about Max and more about the introduction of a new champion – Imperator Furiosa, played by Charlize Theron, who, alongside her performances in Monster and Prometheus, can confidently claim the title of the silver screen’s greatest female badass. The fact that she’s from South Africa, and Tom Hardy from England, teaming up together in a film from an Australian director, “Mastermind George Miller” lifts this utterly mental premise from what could have been Hollywood gunk into a league of it’s own. In the film’s opening minutes, Max is apprehended by a vicious gang of motoring enthusiasts who incarcerate him in “The Citadel”, an elevated fortress high above the great unwashed, where he is put to use as a human blood transfusion unit, hung upside down and connected to War Boy Nux (Nicholas Hoult) via a chain and an IV tube. Meanwhile Furiosa is dispatched across the wasteland from the Citadel to Gas Town to collect a tank of gas at the behest of paternal warlord and Citadel ruler Immortan Joe (Hugh Keays-Byrne). When it becomes apparent that Furiosa, rather than filling up the fuel tanker she’s carting behind her impressive War Rig, is actually transporting precious stolen cargo in the form of Joe’s five wives, the chase is on, and Joe sends out his bloodthirsty tribe in pursuit of Furiosa, her War Rig and the wives. 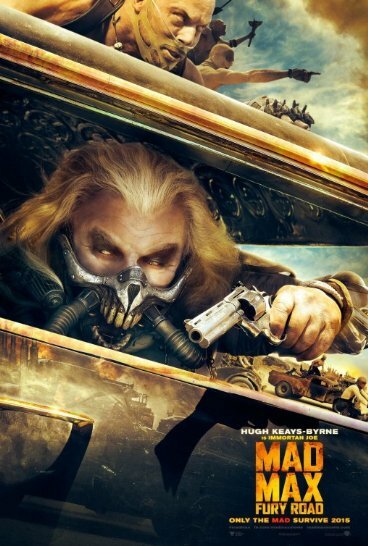 Joining in the chase is Nux, who due to his need of blood bag Max, straps our titular hero to the bonnet of his car and motors off into the madness. And that, as George Miller has repeatedly said, is pretty much the film. One long chase. But what a chase it is. Just as millions of viewers around the world love watching all forms of racing sport from cars to motorbikes to horses and dogs, there’s something compelling about watching one competitor trying to catch another, and when they are literally running for their lives, then you can’t take your eyes of proceedings. Miller makes a case for a whole slate of issues including environmental degradation, women’s rights, hierarchal power structures, empathy and a handful more, but ultimately this is a film about sitting on the edge of your seat watching the mayhem unfold in all of it’s vivid glorious explosive glory.